Normally, with a new book, I’d be treating you to a tale of murder mystery, something to make you frightened to turn out the light, and to make you look over your shoulder as you walk down the street. But, I’ve left my life of crime behind in my new publishing venture to bring you a comprehensive guide on how to self-publish. 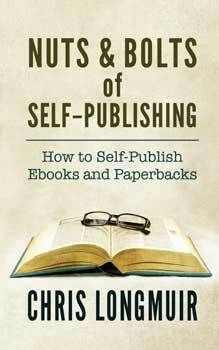 ‘The Nuts & Bolts of Self-Publishing: How to Self-Publish Ebooks and Paperbacks’. I’ve been writing professionally for the best part of twenty years now. At first, I concentrated on articles and short stories, and then several years later, after I’d served my apprenticeship, I started writing novels. Like almost every other author I went through the wilderness years of constant submissions and rejections, but after winning a major book prize I eventually broke through the wall I’d been trying to batter down for several years. This was in the heady days, not so long ago, when ebooks had not yet made their mark and publishers looked on them as a passing phase. 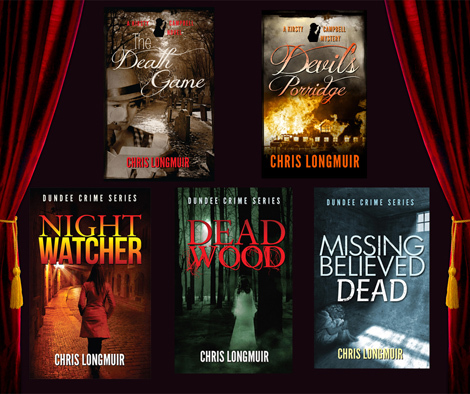 Fast forward a few years to 2011 when I decided to publish the first book in my Dundee Crime Series, Night Watcher, to Kindle. After a bit of trial and error, I succeeded and soon followed it up with other novels. What I didn’t realise was that I was building up my expertise and knowledge of the electronic publishing business. You see, I’m a bit of a perfectionist, and I’m also very curious. I like to know how things work. I’ve even gone to the lengths of building my own computers because it’s not enough for me to simply use a computer to do what I want it to. I need to know how it works. The same applied to electronic publishing. It wasn’t enough to simply format and upload my books, I had to understand everything it was possible to know about the process. 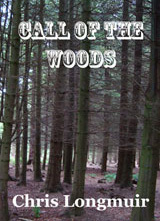 A year after I started to publish ebooks I branched out to publish paperbacks. Once again, I studied the processes to become as knowledgeable as it was possible to be. But it still didn’t dawn on me that I was becoming something of an expert in the field of self-publishing, even though I was by now being contacted by other authors seeking advice on how to go about it. The turning point came last March when I was asked to do a workshop on self-publishing at a writers’ conference. I took a deep breath and agreed. What I produced and delivered was a workshop called the Nuts and Bolts of Self-Publishing, and at this stage, I still wasn’t thinking of writing a book on the subject. Well, the workshop was so successful I had great difficulty winding it up and we overran. It would have continued all day if the participants had had their way. However, it was only after I returned home and looked at my notes and handouts that I realised that these were the synopsis of a book. And now, almost a year later the book is written. It has involved a lot of research as well as calling on my expertise in this area, and I hope the result will be helpful to all aspiring writers who might be thinking about self-publishing. I said it at the beginning of my Christmas post - Where has the year gone? and I'm saying it again. But, it's now time to stop wondering about that in order to look forward to 2017 and make our resolutions. Resolution 1: Send my nonfiction book 'Nuts & Bolts of Self-Publishing' off to be published before the end of January. It should be a piece of cake (I hope), the first draft is complete, the cover designer geared to go, and there's only the editing! Groan! That could take forever. Resolution 2: Finish writing my next Kirsty Campbell mystery, Bloody Murder, I'm five chapters in. It should be a piece of cake (I hope). I'm being optimistic here because it all depends on Kirsty and whether she'll share the story with me. Resolution 3: Promote and market my books more. Nah! That won't work. I'm not very good at the 'Buy my Book' spiel, nor would I want to be because I write my books for the pleasure of writing, and the pleasure of pleasing my readers. So, scrap that resolution. 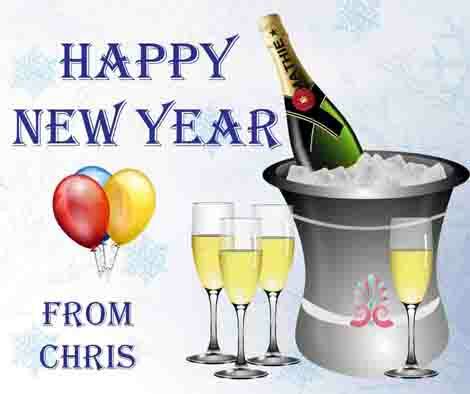 In the meantime, Happy New Year to you all and I wish you joy and success over the coming year. Where has the year gone? Christmas is almost here and it only seems yesterday we were basking in the summer sun, and I could have sworn it was no time at all when we ate last year’s Christmas dinner. 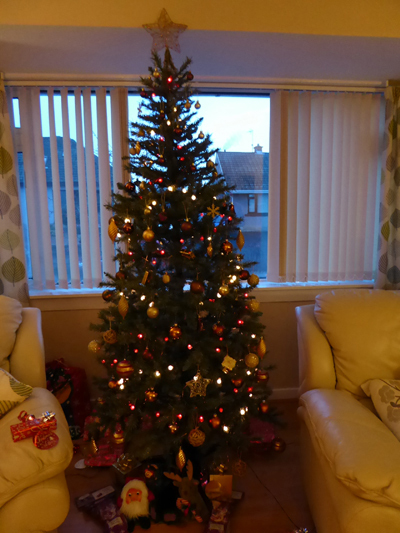 But the Christmas cards are thumping through the door, the Christmas tree is up – not mine, my son and daughter-in-law’s tree. Christmas lights twinkle merrily outside several doors in our street and I’m trying hard to get into the festive mood. Oh, my cards, calendars, and parcels are posted. The paper for the Christmas day presents is looked out, maybe I should wrap them tonight. The pre-Christmas lunches have come and gone. But, there’s something missing! Yes, you’ve guessed it. My husband passed away eleven years ago and, as well as being a joyous time, Christmas is also a sad time, and the house feels empty. But he wouldn’t have wanted me to be sad, so I do what I usually do, give myself a shake and count my blessings. I have a wonderful family and I’ll be eating Christmas dinner with my son and daughter-in-law at their house, as well as New Year’s Day dinner. My granddaughter is brilliant. she looks out for me and shares her life with me. I’ve had a successful year. I now have seven books published and another two incubating. My new book Devil’s Porridge has been well received and readers seem to like it. Happy Christmas everyone, and I hope you get lots of goodies, particularly books in your Christmas stocking.